The following three books are in the series Little People, Big Dreams, which presents simplified biographies of women from history. 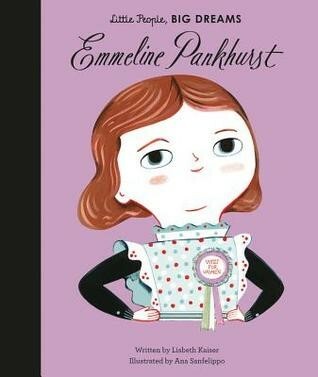 Emmeline Pankhurst is the celebrated suffrage campaigner who led the struggle for women to be granted the vote. Her campaign achieved its aim only after Pankhurst’s death. The book emphasises the fact that Pankhurst came not from a privileged upper-class or middle-class background, but from a genuine working-class setting. Her sense of injustice stemmed in part from her discovery that, unlike her brother, she was disbarred from going to university. Kaiser’s book gives an account of the obstacles Pankhurst faced. She set up the Women’s Social and Political Union, only to find herself after her husband’s premature death left alone with four children, no money and no rights. The book also describes her imprisonment, without mentioning the horror of force feeding. The suffering Pankhurst and her comrades endured is a rebuke to anyone, male or female, who these days cannot be bothered to vote. Rosa Parks is famously the woman who refused to yield her seat to a white passenger on a bus in Montgomery, Alabama, USA. The book then recounts how she led the black passengers to boycott the buses until the segregation rules on buses changed. Her campaign was significant in the whole history of the American civil rights movement. Parks was later recognised as a national heroine. 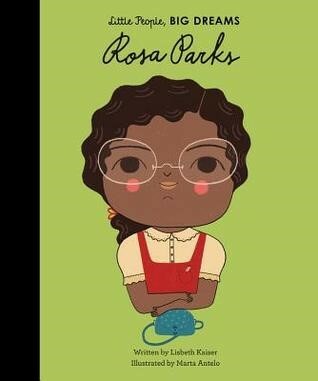 This book looks candidly at the level of discrimination experienced by black people in the USA. It also recognises the achievements of African-American women alongside famous men like Martin Luther King. 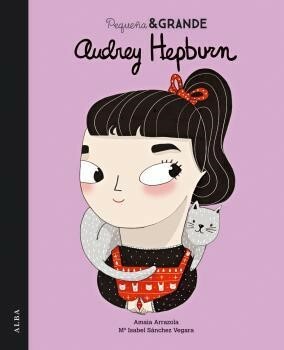 There is a significant omission in the book’s account of Audrey Hepburn’s early years. It fails to mention that in the years before the Second World War her father was an active supporter of the Fascist movement. No doubt the author and her publisher debated seriously whether such information was appropriate for readers as young as those for whom the book was intended, probably aged six to ten. The book describes her experiences in the war when she suffered from malnutrition. It describes her acting career as well as her activity as a United Nations ambassador addressing issues of child poverty. Arrazola’s drawings do their best to reflect Hepburn’s astonishing beauty, but unsurprisingly fail to do so.